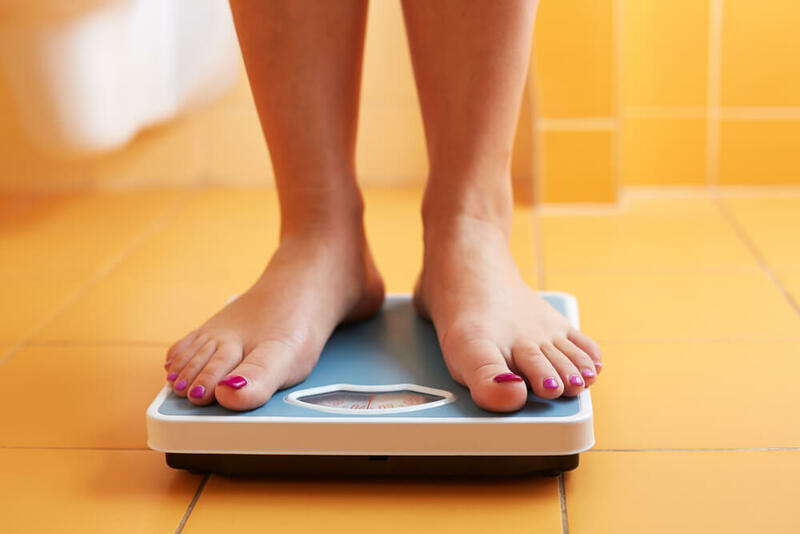 Learn about the difference between muscle loss and weight loss. Your basal metabolism is your resting metabolism, which your body uses for breathing, blood circulation, healing, cell growth, etc. Even while you are asleep your resting metabolism is assisting multiple body functions for you. Eating fewer calories than what your basal metabolism requires will make your body go into starvation mode. When you are in starvation mode, you may begin to see signs of muscle loss because your body will take calories from your muscles to use as energy. Muscle mass is directly related to your metabolism, and the more muscle mass you have the higher your metabolism will rise. Because muscle burns more calories than fat, muscle loss will lower your metabolism and make it even harder to lose excess weight. Make sure that you eat enough food to provide your body with the necessary calories your body needs to function well. This will help your body thrive and reduce any signs of muscle loss. Although metabolism is linked to your weight, a slow metabolism is not the real cause of weight gain. What you eat and drink, and the amount and type of exercise you get, will determine your weight. If there is no physical activity for an extended time period, you will begin to gain weight and see signs of losing muscle mass. If you want to see the positive signs of fat loss, you should limit your daily caloric intake to less than 1,000 calories. Your metabolism converts the food you eat into energy for your body to use. This process uses the calories present in your food and mixes them with oxygen, and together they are released as energy into your system. If you are not taking in sufficient amounts of calories from your food, your body will begin to borrow from stored fat cells, protein from muscle, and stored carbohydrates. Although you may see signs of fat loss, you will probably also see signs of losing muscle mass. You will see more signs of fat loss and an increase in muscle mass, if you include more protein in your diet. Your body must have enough protein to build and retain lean muscle mass. To bulk-up your muscles, try eating more lean meats, fish, dairy, and poultry. Resistance training will help you lose weight but retain muscle mass. Research has shown that people who weight trained lost double the amount of belly fat than people who only did cardio exercises. Try to get a good work-out of resistance training, including lunges, push-ups and squats. Refueling with food directly after each workout is essential to repairing the muscles that you broke down during the exercise. If you neglect this important step in the process, you may lose whatever muscle advantage you hoped to gain during the workout and you may begin to witness signs of muscle loss. To stay on the safe side, consume a cup of yogurt or your favorite protein shake within 15 minutes after your workout. This will ensure that you build muscle and avoid any signs of losing muscle mass. It’s not difficult to understand what type of diet and physical activity you should be getting to build up muscle. Make sure to keep your caloric intake at the proper levels and do both low-intensity and high-intensity workouts about four times per week. If you follow these rules you should not see any signs of muscle loss.